In addition to being an elite road racer for Team CLIF BAR Cycling, he is a photographer who specializes in medium format film and is a Historian and graphic designer based in Sacramento. He can be found on Instagram at @michaeljasinksi As an athlete, he fell in love with the process of bike racing. The simplicity of riding a bike, the excitement of a race, the chance of it all. There is a finality of in result, yet the endless opportunity to get better, to get lost in an idea, to celebrate the brief moments of successes and work through the lows and challenges of defeats. There are days spent with your best friends and days in solitude alone trying to evolve and progress, try to chasing a feeling. He sees truth in the work that goes into being a bike racing, there is something that’s age old, and honest about it. Then somewhere along the line during his career in cycling, he began shooting film with an old camera his dad passed down to him and found the same love in the process of photography. The simplicity of catching light, the excitement of executing an idea, the finality of an image, the opportunity to create, the fulfillment of capturing an instant and disappointment of missing a moment, working collaboratively with friends who push you forward, trying to evolve and progress, chasing a feeling. He sees the same truth in the art of film photography as he does in cycling, it's a process that doesn't come easy, there something age old and honest about it. To Michael, State of Cyclocross is a combination of those values. It’s based on the truth of a one day event, it’s the thoughtfulness and finality of film. It’s as honest as a group of friends who are also competitors. It’s a story about a sport that is evolving and progressing, a process. It’s a snapshot of a moment that is the state of cyclocross right now. When I was a kid I rode BMX bikes religiously. I skated Sims Christian Hosoi boards until they broke. I discovered The Clash and Black Flag when my brother passed me a joint in the 8th grade and then said, "listen to this". I grew up. I Let go of such things. I discovered my dad's Canon AE-1. I fell in love. But like most passions, it was fleeting. I moved on to other sports and activities, but it wasn't until I was an adult and discovered the sport of cyclocross - a fringe discipline on the cycling spectrum - that all of my childhood endeavors - good and bad - converged. I fell in love once more. "State of Cyclocross" came about due to a whimsical statement from one of my co-collaborators, Michael Jasinski, who, after finishing up our work together on another cycling-related short, stated that Nationals were going in Reno and that we should get together on it. Thus this project was born. I decided to go all in. One day of shooting. All on film. Crowdfund for the cassettes ... it might work, it might be a disaster. I don't have fear of such things. The thrill was in the unknown; of not knowing if you got the shot or not; of not knowing if the camera even worked or not. It was a gamble. It worked. I gravitate towards cycling for inspiration because I believe it strips away all the artifice of the life we construct and lays us bare. There is no faking success in a bike race and even more so in a cyclocross race. Why race a bike not suited for the terrain at full tilt? Why climb a mountain? The answer is the same. To feel. To suffer. To overcome. To feel accomplished in the end for having finished regardless of result. Film making, like cycling, pushes us to our limits. Artistically it is the most beautiful endeavor there is and I seek to express this. The choice of Super 8 for this film was, initially, an aesthetic one. I grew up with Super 8. I wanted to feel that nostalgia with what I love most. "Cross" is a gritty, dirty, hard activity when the resolution of the moment is not clean at all. It is a natural medium for the sport. Brian Vernor's "Pure Sweet Hell" showed the way. I wanted to move in a different place and it became a mediation of the sport and sought this out through the sound design. Additionally, Michael and the brilliant Patrick Means joined me to take stills on film and vintage lenses to add to the aesthetic. Secondarily, though, I wanted the challenge of film again. When I was young, it was what we had. You clicked, advanced, and clicked again. You didn't know what you had until days, maybe weeks later. The surprise. The delayed gratification. The evaluation of the shot knowing that each frame costs money. Shooting with digital is an expression of our time: consumable, easy, discard or keep based on whimsy; a lack of intention and evaluation. I needed to divorce myself from this and really evaluate location and framing and movement and, especially, time. I had a finite number of frames to use. I had to use them well. I took 14 cassettes of film - 7 black and white, 7 color, and went to the most important race in our nation and tested myself. The result was beyond what I had expected. “…State of Cyclocross is a really cool film. The video and photography are beautiful, and the commentary from an impressive group of cyclocross folks provides a very real look at where U.S. cyclocross is in 2018. “In the weeds” is a phrase commonly used for overworked restaurant staff, but it also can mean focusing on the smallest of details. While watching "State of Cyclocross", a film that focuses on broad themes but also the minutiae of this emotionally complicated sport, I recalled walking track side at the Cyclocross National Championships in Reno, Nevada, and nearly tripping over Drew Coleman and his 8mm movie camera who was literally in the weeds, capturing the action. While watching "State of Cyclocross", I couldn’t help but think that some of those weeds may have gotten caught in the camera gate giving the footage a texture and feel that is gritty, dirty and compelling. Just like cyclocross. The narrative of the film oozes a longing for the past and a nervousness about the future of the sport. It’s presented with a white-knuckle love for the discipline that pours out of every voice heard. Cyclocross is our child and this movie plays the part of the loving, doting, proud but concerned parent. "State of Cyclocross" is beautifully shot and paced elegantly. Rarely do I find myself able to sit through a 20+ minute video without losing interest. For "State of Cyclocross" I didn’t flinch. Cyclocross is the most visually exciting discipline within cycling, and to adherents it is the most beautiful of all sports. 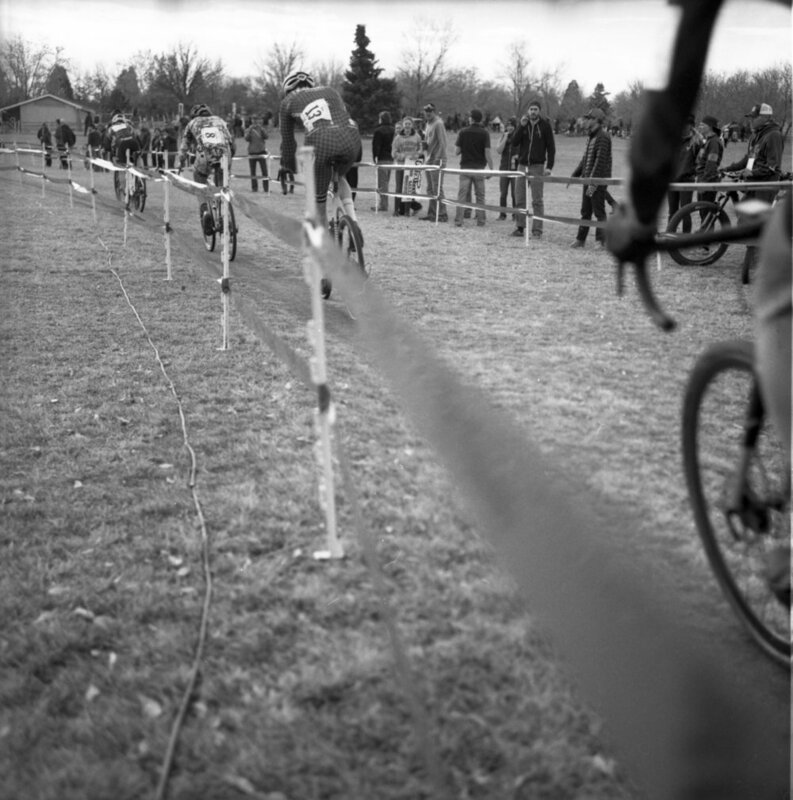 Drew Coleman shot CX National Championships in January of 2018 on super 8 alongside co-conspirators using medium format film cameras. What we get is a look at the race like never before: literally unique. Film as a medium brings the viewer much closer to its subject than video, due to the grain, lens flare, and the real detail, the natural bokeh rather than the post-production variety, lends itself to a far more visceral experience. Super 8 is like a ‘cross race – you get the one shot and a tiny mistake will cost you the day. Coleman shot just 14 reels, 7 color and 7 black and white, and shot them all on Sunday, January 14th. No lighting tests, no rushes. One reel is about 3 minutes, but shorter if shot in slow motion. The film will impress audiences unfamiliar with the sport, and immerse fans of the sport, especially those familiar with the converging story-lines in Reno. The “meditation” comes equally from the gorgeous visuals and the voiced insight, and should be a step to inspiring a resurgence in the sport. “State of Cyclocross” is required viewing for all. 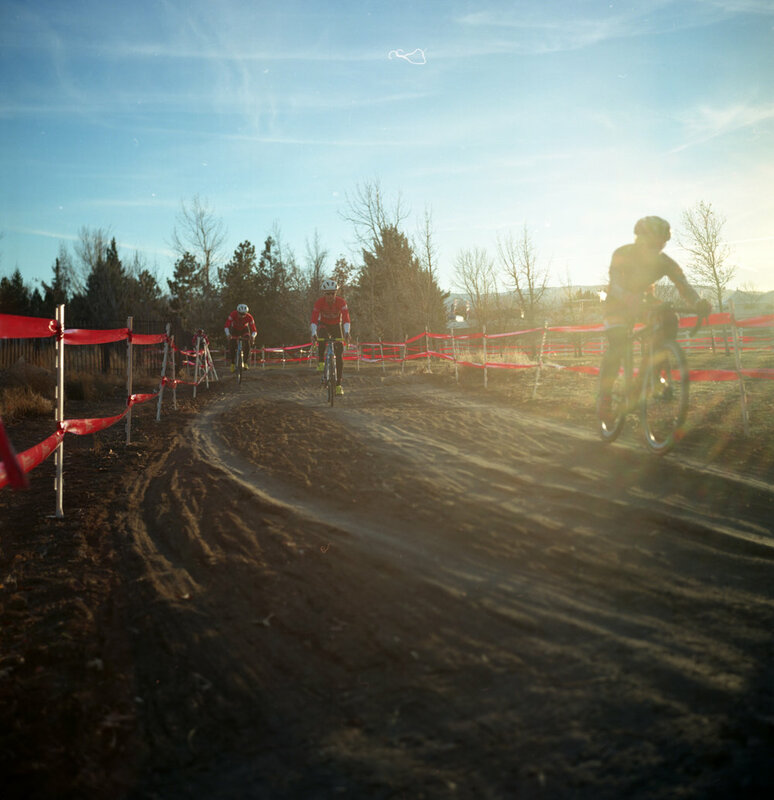 The film and images shot by Drew, Patrick, and Michael captures the art of cyclocross. It was touching. Cyclocross is nothing without it's community. 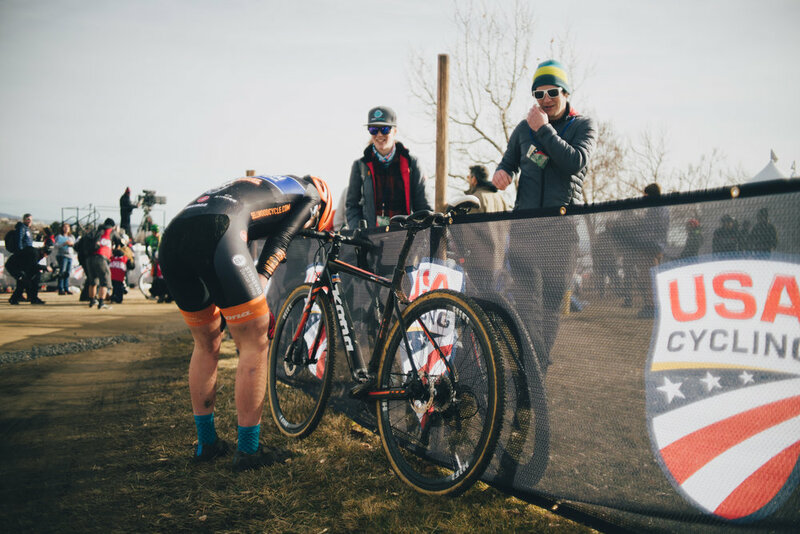 State of Cyclocross left me with a lot of feelings. The one that stands out the most was the sense of community. You can't help but feel that we're all in this together.